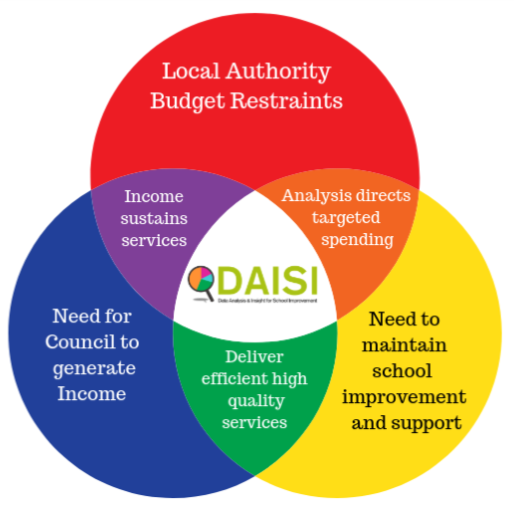 L uton Council has worked in partnership with Nottingham City Council’s DAISI service since 2016. “DAISI provide Luton with comprehensive performance reports for all of their schools including EYFS, Key Stage 1, Key Stage 2 and Key Stage 4 analysis. In addition to the school level reports, Luton receive Local Authority level reports and bespoke reports based upon Statistical First Release data. From the outset, working with the DAISI team has been a positive experience. They are responsive to the needs of the authority and schools and have enabled us to develop the service to meet our needs. The expertise of colleagues in the DAISI team has been invaluable, providing suggestions, advice, guidance and updates. Schools have been very impressed with the quality and content of the reports. The presentation of information is very comprehensive and easy to access at various levels, whether you want an overview or more detailed understanding of performance. In addition to the reports, the team have presented sessions to schools to help them to understand the wealth of data that is available and have produced helpful video guidance for school leaders to use with their teams. DAISI is a traded service within Luton providing schools with a package of reports and support. The service is good value for money for schools and the Local Authority. We have been able to provide a high quality service to our schools, and receive high quality reports and information for the authority, at an affordable rate. Like many authorities we have moved towards trading more services and the partnership with DAISI has allowed us to provide a service to our schools even though we do not have the resource internally. The DAISI team have provided email and telephone support to LA colleagues and schools and delivered more than the original contract s pecified. Takin g a collaborative approach between local authorities creates the most effective partnerships, helping to reduce running costs, whilst delivering a quality service for end users..
Collaborative solutions give a reduction in long term costs without compromising quality and are vital to the future sustainability of all local authority infrastructures. The best partnerships help to innovate and deliver all services successfully, sustainably and cost effectively – for the long haul. DAISI is a successful self-funding service. Since commencing trading our expertise and services have generated over £500,000 profit into the council’s budget. Our LA partnership model has already enabled other local authorities to generate income and deliver an efficient high quality service. Our flexible reporting ranges from the forensic detail to LA level intelligence, graphical to written analysis, personalised to anonymised in both ready to use and fully editable formats. Individual school performance analysis produced throughout the year. Forensic Question Level Analysis: KS2 SATs for Y6 & y7 and KS4 GCSEs. LA level reporting – all schools and academies. Management information for LA Ofsted inspections. Strategic overviews and insight for area-wide improvement. Analytical narrative, not just data.